Where is it? 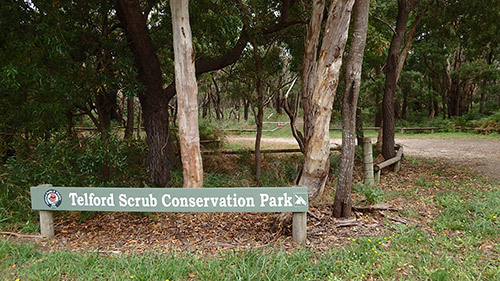 : The Park is located 14 km north of Mt Gambier off Grundys Lane. 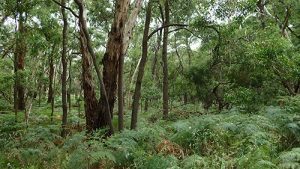 Property summary: Total area 170 hectares. Hundred of Young – Section 134. History: Telford Scrub Conservation Park was first proclaimed on 12 March 1987.
low open shrubland dominated by Prickly Tea-tree (L. continentalis}, Heath Tea-tree (L. myrsinoides), sedges (Ghania sp.) and rushes (Juncus sp. ).